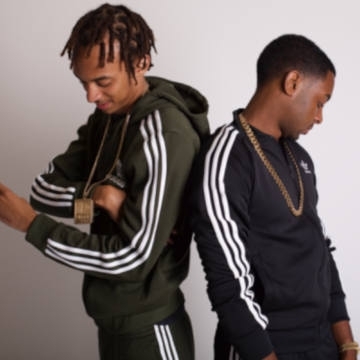 Meeting at school and forming a friendship, Dirtbike LB watched Young Adz start to make music, releasing his first mixtape at age 13 entitled 'La Prodify'. He continued to create and release music which lead to him being signed to Universalat age 15 and gain recognition as an artist. With moments of quiet from the pair, their hard work and dedication to their sound hasn't stopped, as they are constantly experimenting and cooking up new sounds. Their motivation and determination to push their sound has carried them through, leading them to gain the attention of legendary D-Block (JadaKiss, Styles P, Sheek Louch) after Young Adzhad toured with Jadakiss.